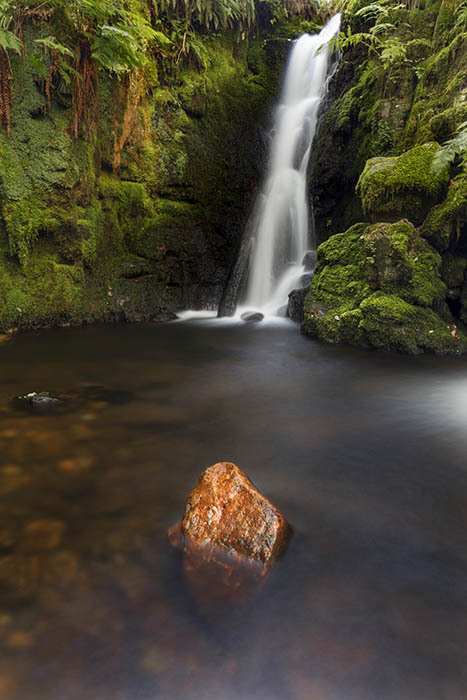 One of the two waterfalls that makes up Venford Falls in Dartmoor National Park comes crashing over the granite rock face into a small pool with a large red stone. Dartmoor National Park. Devon. Location: Dartmoor National Park. Devon.